Peace scholars Atalia Omer and Jason Springs examine the interplay of religion and nationalism around the globe in a newly published reference book. “Religious Nationalism: A Reference Handbook,” recently released by ABC-CLIO, is the latest volume in the publisher’s Contemporary World Issues series. Though scholarly interest in religious nationalism had been steadily increasing since the end of the Cold War, Springs said, the 9/11 terrorist attacks added a renewed sense of urgency to examining the issues it raises. The book includes a number of case studies — Sinhala Buddhist nationalism in Sri Lanka, Hindutva (Hindu nationalism) in India, the Troubles in Northern Ireland, Orthodox Christianity and Serbian nationalism in the Balkans, interaction between secular and religious nationalism in Israel, and religious nationalist dimensions of U.S. patriotism and civil religion — to illustrate the ways in which religion and national identities interact. The two scholars, who happen to be married, met while earning doctoral degrees in the Study of Religion at Harvard University. 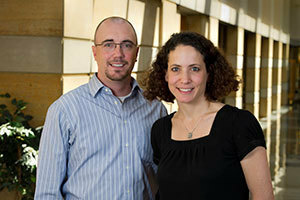 They came to Notre Dame together in 2008 to join the core faculty of the Kroc Institute. Originally published by Renée LaReau at newsinfo.nd.edu on March 08, 2013.